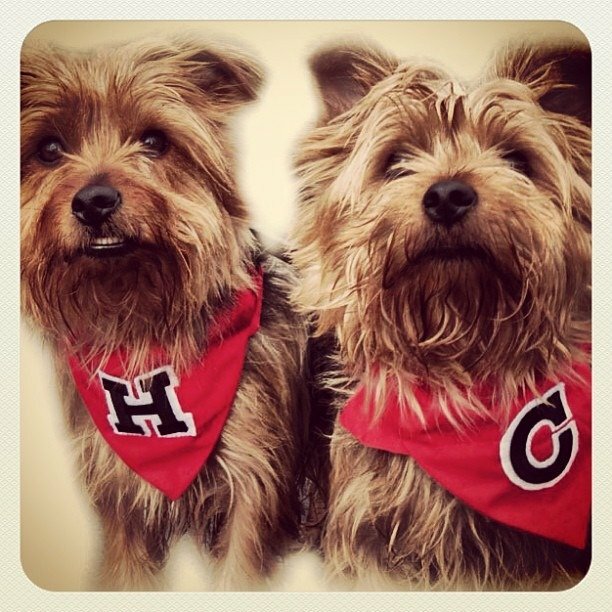 Show team spirit with our adorable Varsity style dog and cat bandanas. These are an original ZukieStyle design, if you see these anywhere else they are imitations! We are proud to have designed such a fun and popular bandana style. These bandanas are available in various colours with a bold letter, which is appliqued directly onto the bandana using cotton fabric and a white polyester thread. Please choose your letter and colour from the drop down menu. Available as a slip over bandana or neckerchief.